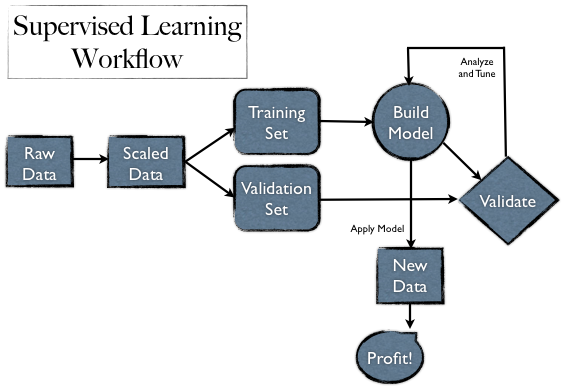 Supervised learning is the method of using a labelled training data to train the algorithm. Training data will have an input part and its label (the output). The input will mostly be a vector of parameters. Using this, the algorithm will train itself and when a new input is given, it would classify or predict the output label. Overfitting – This is the issue where algorithm over trains itself and hence output error is more. The type of input vectors – numerical, categorical etc. Few most used supervised learning algorithms are Support Vector Machine, Neural Networks, naive Bayes, Decision trees, K – nearest neighbors, linear regression and logistic regression. I will write about unsupervised learning in next post.